I’m very pleased to let you all know that at the LTA Essex Coaching Awards 2019 Ceremony, First Service Baker Tennis Academy won Club of the Year!! This is an amazing achievement and I’m so excited to share this news with you all!! The club has gone from strength to strength over the last year, and to have our growth and vision, facility development, coaching programme and effort recognised so highly by the LTA makes me extremely proud of our academy and every player and member in it. Winning this automatically puts us through now to the regional nominations for this award. Exciting times! First Service Baker Tennis Academy run fun filled holiday camps all through out the year, encouraging children to learn basic tennis skills and techniques, keep fit while learning and having fun, and enjoying our many different tennis games. We advertise all our upcoming holiday camps, via the schools we currently coach in on our social media pages ‘Facebook’,’Instagram’ and ‘Twitter’. We also have adverts in the Primary Times and on our Events page on our website. 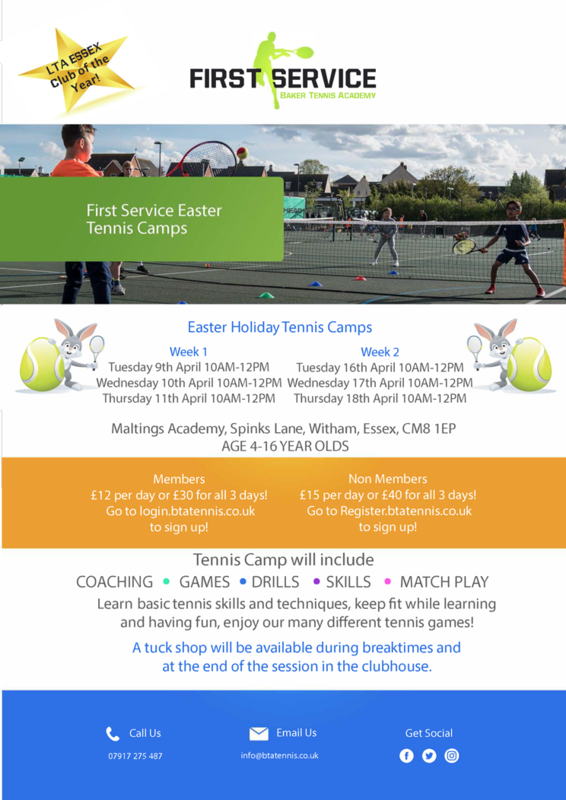 Interested in finding out more about our Holiday Camps? Contact us via info@btatennis.co.uk or call on 07917275487. Here at First Service Baker Tennis Academy we also run matchplay events throughout the year. These events are a series of separate one-day events designed for match practice against other players of a similar standard. Events will be promoted and added to our events page on our website throughout the year. These are usually run on Saturdays and Sundays from mid-afternoon until late evening, although there could be some daytime events too. During the school holidays, events are occasionally held during weekdays. In normal circumstances, each successful applicant takes place in TWO matches per event using a 4-player matchplay “box” or 3-player round-robin format. If we are unable to offer a player two matches then a proportionate refund is made (conditions apply). Players are drawn in groups against others with the same LTA rating helping to ensure close and enjoyable matches. 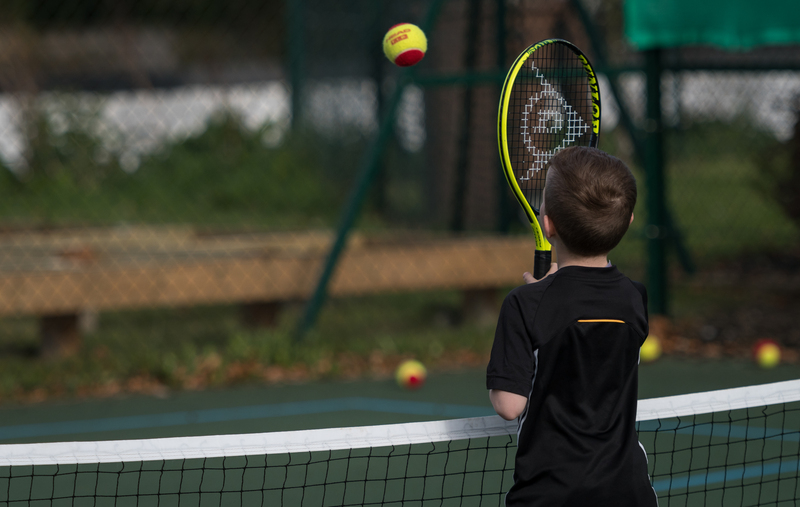 All matches count towards the periodic ratings assessments carried out by the Lawn Tennis Association, who support the programme.